To ask other readers questions about Estranged, please sign up. Will there be another?! Please let there be another! Ethan Aldridge I'm happy to say that there will indeed be a sequel! I'm working as fast as possible on the artwork right now. 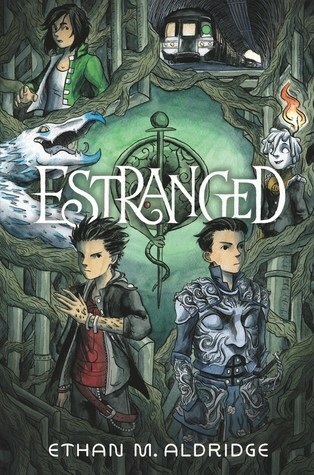 Ethan Aldridge is a New York Times bestselling illustrator and author living in New York City. He is the creator of ESTRANGED, an urban fantasy graphic novel (HarperCollins 2018). Ethan was born in Fayetteville, Arkansas and raised in a (very) small town in Utah, where his parents read him books about dragons and ghosts. Growing up, Ethans favorite things to draw were monsters and whatever dinosaur took his fancy that week. He now does more or less the same thing for a living. Ethan has had the pleasure to create work for HarperCollins Publishers, Penguin Random House, and Electronic Arts Games, among others.